I'll be honest, when I walked into The Bar Method in Brooklyn I was expecting a cute, fun little ballet inspired workout. Maybe there would be some light stretching against the bar. Ten minutes into the class I was already sweating. Twenty minutes in my legs were shaking and I thought, "I seriously can not be this out of shape." "In the following days, I could still feel the workout with each step I took. I'm telling you guys, it's not as easy as it looks..."
It turns out, I wasn't. The Bar Method is just that intense. I'm used to quick paced cardio like Zumba, but the moves we did targeted specific muscle groups by holding exact form and making small, tight adjustments. It's a mix of yoga, pilates, physical therapy and yes, ballet, so for every muscle toning move, there was a relaxing stretch that followed, for which I was grateful. In the following days, I could still feel the workout with each step I took. I'm telling you guys, it's not as easy as it looks, and even the girls in the class with me who'd been coming for much longer were shaking. That said, I think the shake is a good thing. It means your body is doing work, and that's what you want out of a work out, right? See more on The Bar Method here. 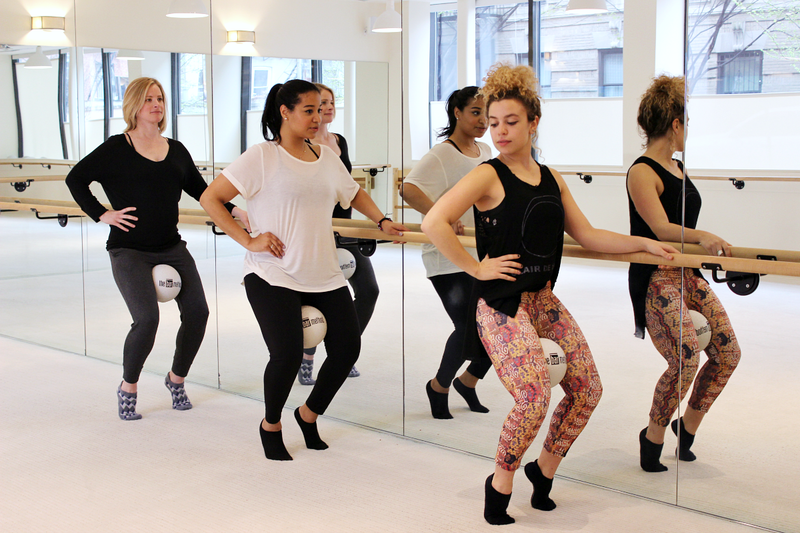 Sign up for classes at The Bar Method Brooklyn here. Use code Lululinden for 10% off! The Bar Method Brooklyn provided classes for review, but as always, thoughts are all my own.